Georgian Angel Network (GAN) is an angel group connecting angel investors in the Barrie, South Georgian Bay, Orangeville and Muskoka/Huntsville regions with entrepreneurs needing equity capital to commercialize their innovations. Connecticut Innovations (CI) is the leading source of financing and ongoing support for Connecticut’s innovative, growing companies. WUTIF Capital (VCC) Inc. is an angel fund created by angel investors for Entrepreneurs in British Columbia, B.C. AVAC Ltd. is a Canadian venture investor with significant experience in the global agriculture sector. 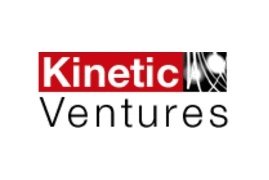 Kinetic Ventures is a venture capital investor in high growth, industry defining information, communications, and power/clean technology companies.